We live a little too far from the kids’ grandparents for our taste, and now that both Dub and Eve are writing I want them to be better at communicating with them via snail mail (while practicing their manners and skills). 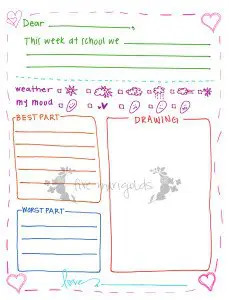 These templates include writing prompts that cover the things we talk about at home at the end of each day: what they’re learning at school, their feelings at the moment, and the best and worst part of their days. I also added a “weather today” section, just for fun, and an area for them to just draw, which is their favorite part. Do you have friends and family members who live far away? 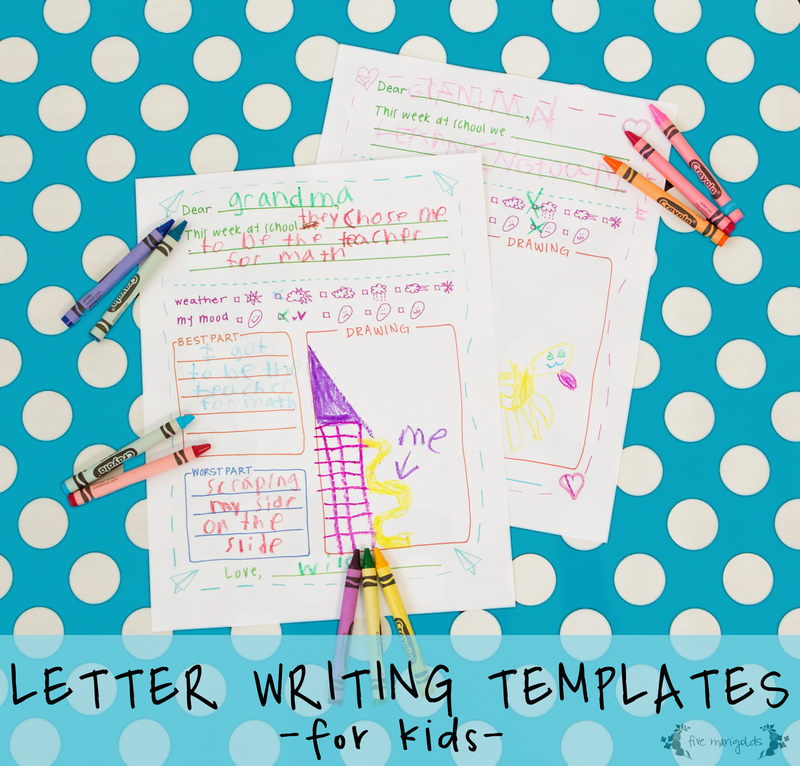 Are your kids starting to interact with pen pals, or heading off to summer camp? This template is for you! I’m sharing them here for my subscribers. Enjoy! What a great idea! You don’t have to live far for grandparents to appreciate these! 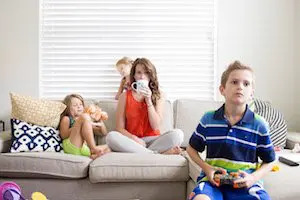 Thank you for sharing your printable at Welcome Home Wednesdays! I love this! I sent it to my Grandkids a few months ago, and just got them back! I was about to send out new ones, but for some reason, I’m not able to get them to print this time. It keeps asking me for my email address, which I’ve given. Is there something else that I’m doing wrong? I’d sure love to send these out again! Hi Tami, I’m so glad you’re using and enjoying the templates! The format of my site has changed a little bit, so that all of our freebies are available to our subscribers. When you enter your e-mail address and follow the instructions in your inbox, you’ll be sent an e-mail with a private link and password to access the templates. Enjoy!